Vir Das and Shivani MathurLatestwedding news from B-town that has reached our ears is that of the funny man, Vir Das. 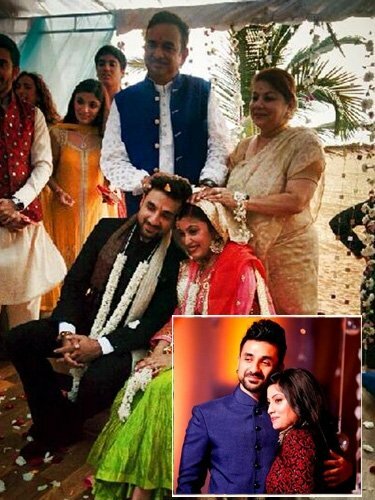 In a hush-hush ceremony, attended by just 100-odd guests, Vir Das married his long-time girlfriend Shivani Mathur, in Sri Lanka. Talking about the low-key affair, Vir Das has been quoted by a leading daily, confessing that he deliberately wanted to keep it all private. That is why; he had even banned usage of cell phones during the three-day wedding celebrations.